The now famous, for their unique BMW cars, BMW Abu Dhabi dealership shows a BMW F30 3 Series with BMW M performance parts and a tuning chip. The look of this F30 335i is quite unique and different from all the M Performance Parts cars we have seen before. 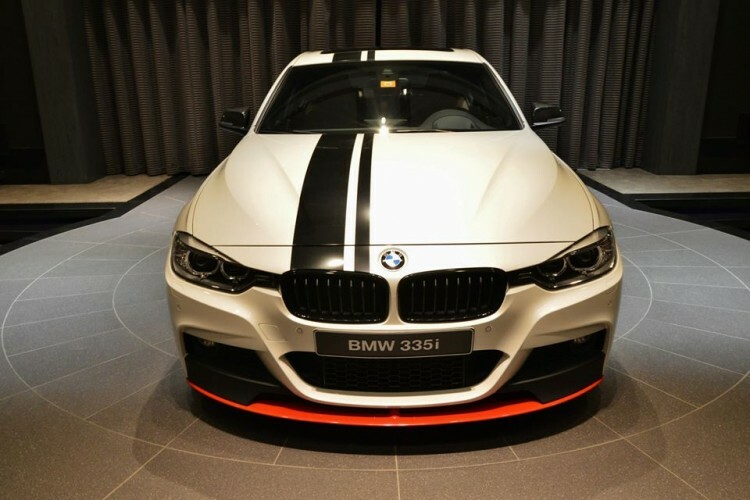 The sharp 3 Series comes with an Alpine White paint job coupled with carbon fiber aero parts and subtle orange accents on the edge of those parts. 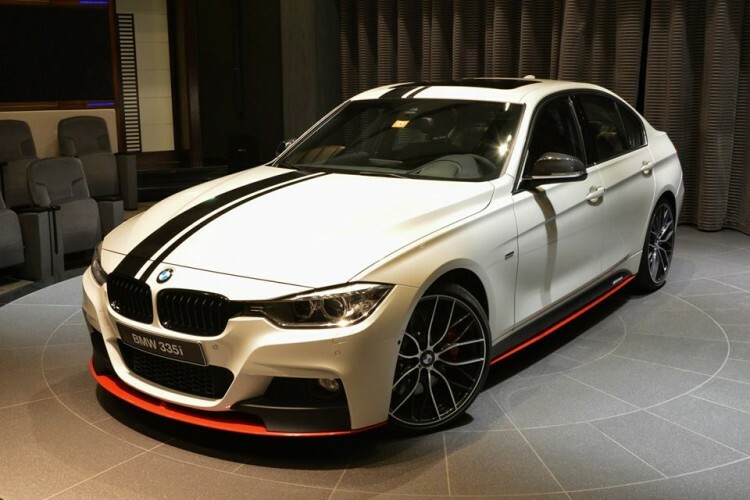 In addition to the front apron, the pimped out F30 335i features a front splitter and a rear diffuser, along with side skirts, blacked out kidney grilles and side mirror caps. 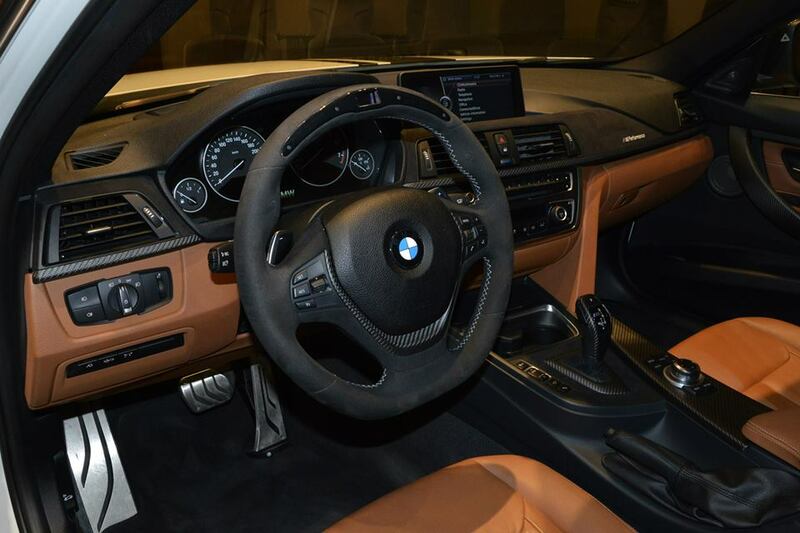 Inside we have the typical Alcantara wrapped sports steering wheel with the LED display, along with a center console dressed up in carbon fiber, including the automatic gear shifter. A set of aluminum pedals round up the racing-inspired look inside the cabin. Under the hood, the engine gets a bump in power thanks to the BMW M Performance Kit which brings the total output to 330 horsepower and 332 lb-ft (450 Nm) of torque. Rounding up the tuned up 335i is an exhaust system from Akrapovic. Those of you that are interested to see how a BMW looks with M Performance Parts, BMWUSA is offering a configurator on their page.